A former dancer who became a flight attendant after repeated injuries, Kloosman quickly became more interested in what she observed in the flight deck than in coach. 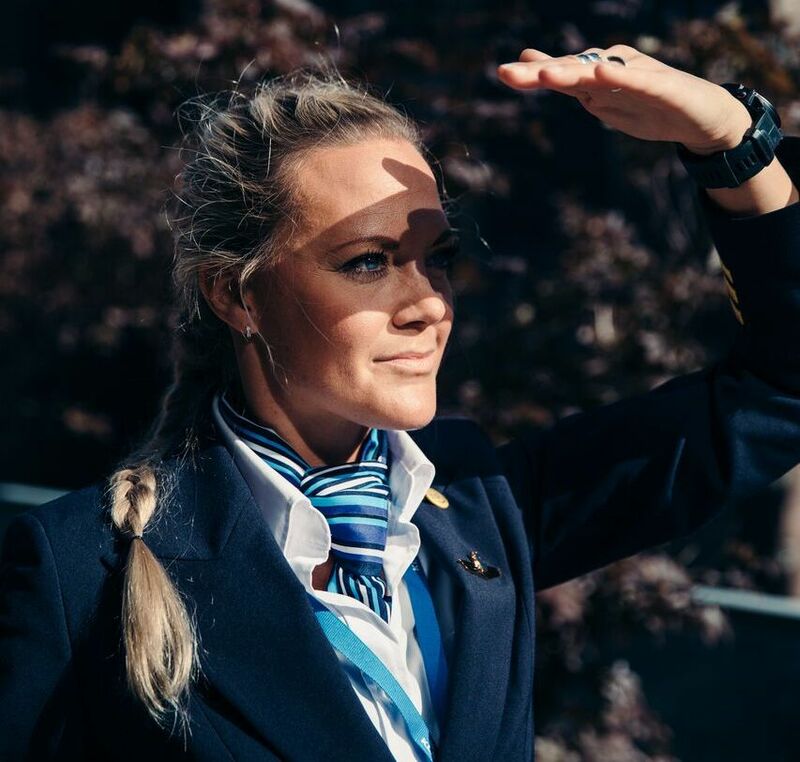 She completed the 20-month-long training course at KLM Flight Academy, and spent a year working as a pilot in Poland before getting a call from KLM Royal Dutch Airlines. 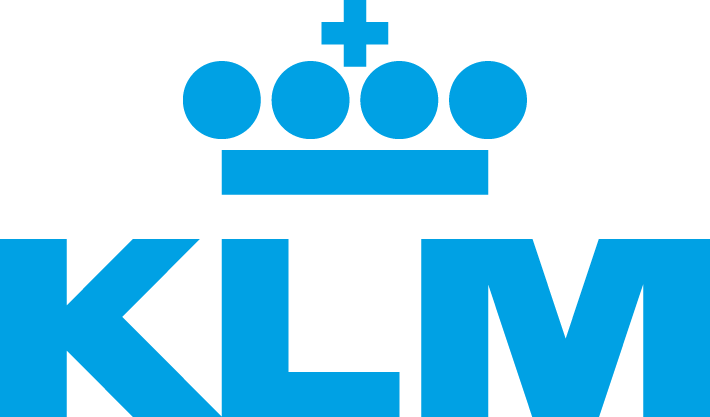 KLM, the world’s oldest airline and the Dutch flag carrier, was her number one job choice. “I work for the blue company,” Kloosman says. “We call it the swan.” Since 2012, she flies 80 hours every two weeks throughout Europe, not to mention all of the day-to-day work that takes place outside of the plane such as flight briefings and simulator time. “Everybody thinks that a woman cannot become a pilot,” she says, when asked about the “men’s club” of flying. 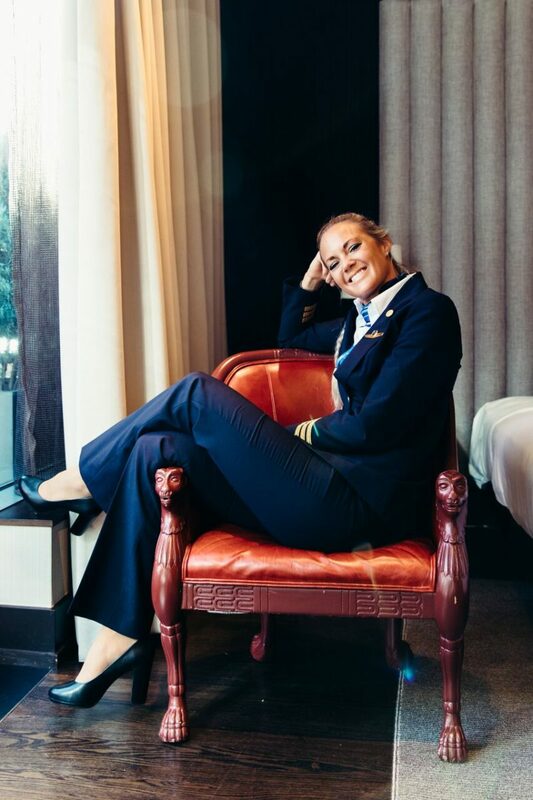 “In my opinion, a pilot is a pilot, whether a man or a woman, but I have had passengers say ‘Oh wow, you wear mascara, you have long blonde hair.’” With KLM, she’s made promotional videos and hosted seminars for young girls in support of women in the industry. Since taking the wheel, she’s picked up more than a few tips and tricks for how to navigate the skies—and jet lag. Read on for how she manages her schedule, packs, and explores new cities. How do you manage your personal life with your typical work week? We fly 80 hours per two weeks. I’m home for two nights per week, maximum, and I love it. I’m very impulsive and am constantly doing so many different things. I like it that somebody just says, “Okay, here’s your schedule,” and I only know it for six weeks in advance—after that, everything is open. It’s spontaneous, and it’s a lifestyle. I know that sounds very cheesy, but it is. You make friends that have the same lifestyle, whether they’re nurses or doctors or flight attendants or pilots. 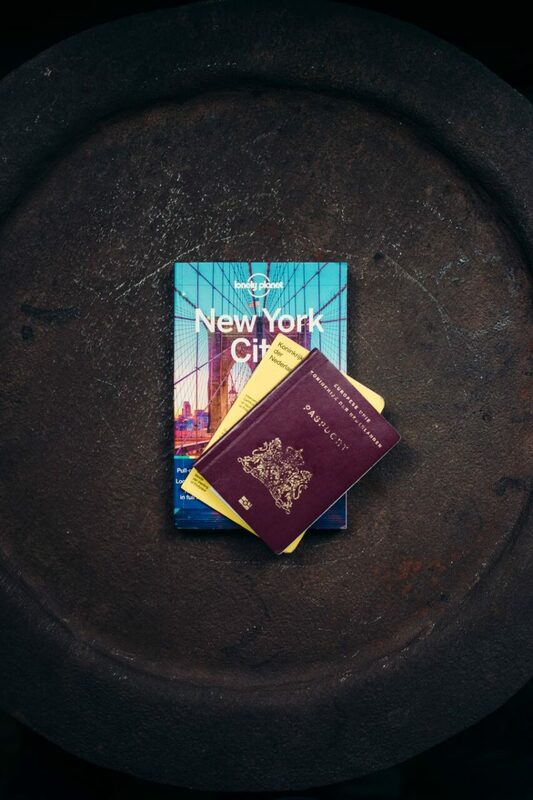 How do you make the most out of traveling to new places constantly? If it’s a new city, I always go to the highest point first—the highest tower or a church or a little mountain or something just to have the overview. Then I always go for dinner somewhere—I love to explore on my own because you always meet people, and they’re so friendly and open to giving you advice or taking you along somewhere. My advice is to explore and make lots of mistakes. Just be sure to read about the culture and the etiquette first so you know the basics before you go out and about. I mean, Tel Aviv is a bit different than Stavanger, right? It’s a good idea to learn a couple of words in the language—it opens the world for you. Do you have a favorite place you’ve been? I love, love, love Salt Lake City because of the environment, and because it’s so easy to go to north to Yellowstone or to Bryce and Zion. I love Vancouver because of the mountains — it’s beautiful. I could live there. I like Tel Aviv; Israel is an amazing country—such great people, so friendly, such great food. And Scandinavia because of the Northern Lights. I love the Northern Lights, the mountains, the people, everything. Everything is organized there but in a pleasant way. What’s on your wish list that you haven’t been to yet? I’m actually thinking of going to Greenland. I haven’t been there, but it’s supposed to be great for photography. Also New Zealand, and I’d love to see Chile and Patagonia. There are so many! Everything is open.The other day I got in my car and ended up in Montenegro. What travel tips and tricks have you picked up since becoming a pilot? Hydration is the number one priority. Jet lag is insane, so you really have to take care of yourself by hydrating and taking vitamins and eating good food. Also, travel light and really think twice about what to pack and what not to pack. It’s funny, I recently spent three weeks in L.A, and after I came home, I was like, yeah, I have a lot of stuff that I don’t use or I’m not wearing. Why shouldn’t I get rid of it or sell it or give it to people that need it more than I do? I love the feeling of not taking too much space and not wasting more than is necessary because we are already wasting so much. It’s a precious world, especially when you see it from above. 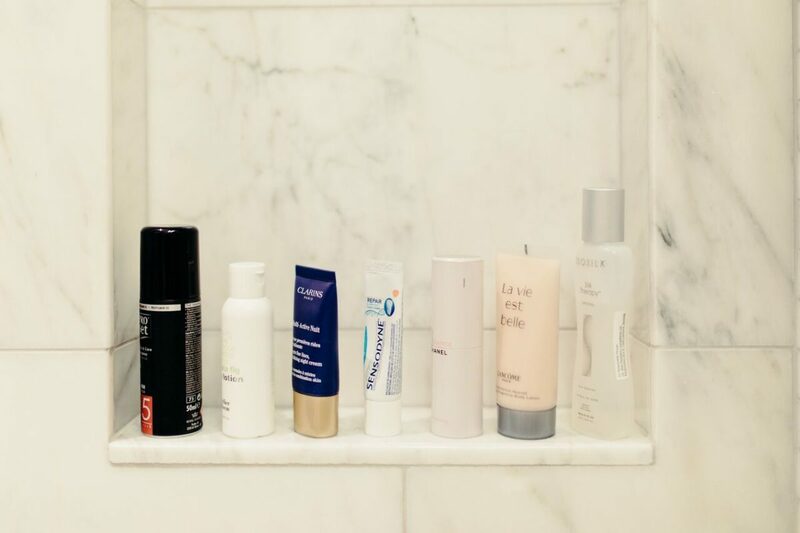 "I don’t like to use hotel products, since I’m very keen on what I put on my skin. Bringing my own products helps me feel like I am closer to home." "I can never leave my house without my passport and vaccination booklet." Would you say your general packing philosophy is ‘less is more’? As long as it’s also comforting. 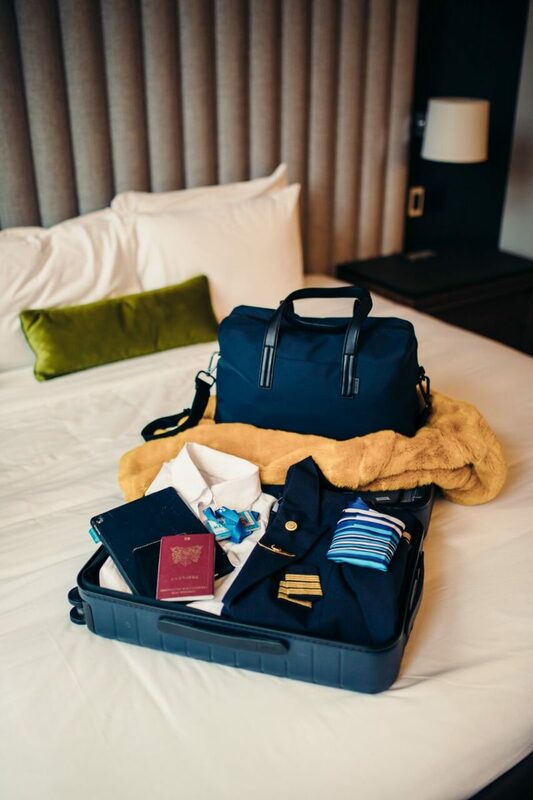 I mean, because I only spend two nights a week at home, I try to pack my bag so that I feel comfortable when I am in a hotel. You can feel lonely sometimes, but when you have your own stuff with you, even if that takes an extra kilo in your baggage, then that’s fine. Sometimes I pack a specific blanket or pajamas. I also listen to music that I play at home. Tell me about your in-flight essentials. I use Labello for dry lips and Vichy Minéral 89 Daily Moisturizer and Clarins Nightcreme for my face. For scents I like Lancome’s La Vie est Belle because I like the light scent. During flight I use Chancel Chance Eau Tendre as my perfume and Dove Invisible Dry Deodorant. I love my BioSilk Therapy Oil for in my hair to prevent it from drying out. The hairspray can be any brand, as long as it’s strong and helps me through the day with the headset! Do you have a jet lag cure-all? There is one thing: a sleep cycle takes one and a half hours. So if you really can’t stay awake with jet lag, don’t fight it, but sleep for one and a half hours, or for three hours, or for four and half hours. The other thing that works is calling a friend and having them take you out just to get some distraction! Follow Christa’s daily travels on Instagram, @christavliegt.